Learnt this simple dish from a friend of mine in the neighbourhood. And my kids love it! 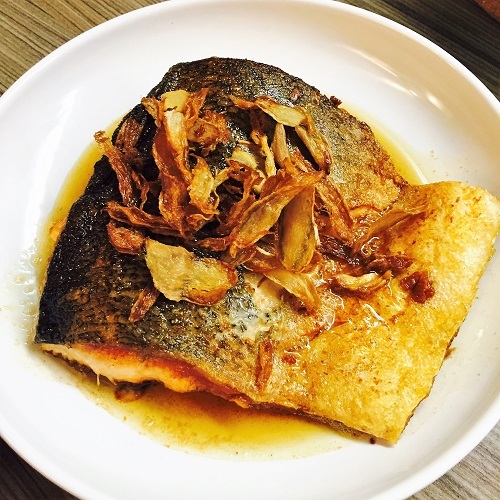 The crispy ginger slices are loved by the adults and the kids love the sesame oil with the crispy salmon skin. Wonderful dish to make that warms the body. Briefly rinse the salmon and dry with kitchen towel. Using salt, rub over salmon and set aside. Fry ginger slices till crispy and set aside. With the remaining oil, pan fry the salmon for about 5 mins on each side, flipping twice. 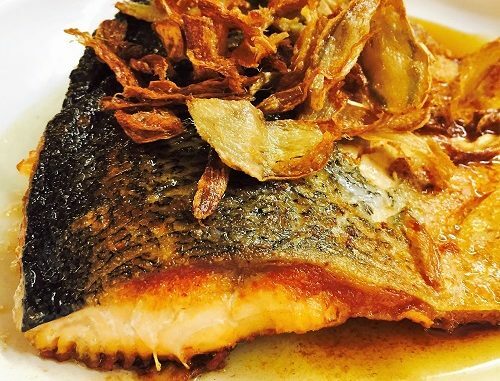 The aim is to get the salmon skin as crispy as possible. 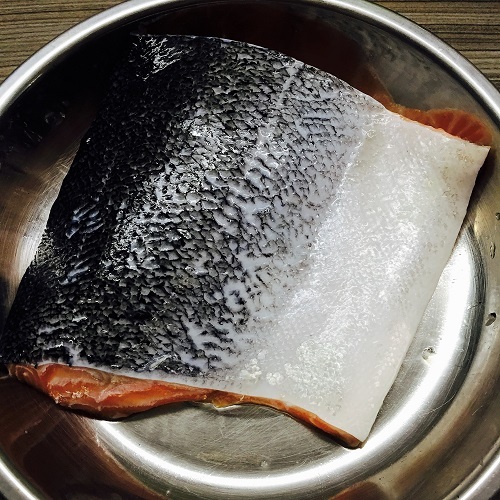 When ready, place salmon on a plate with skin on top, then pour sesame oil over fish. 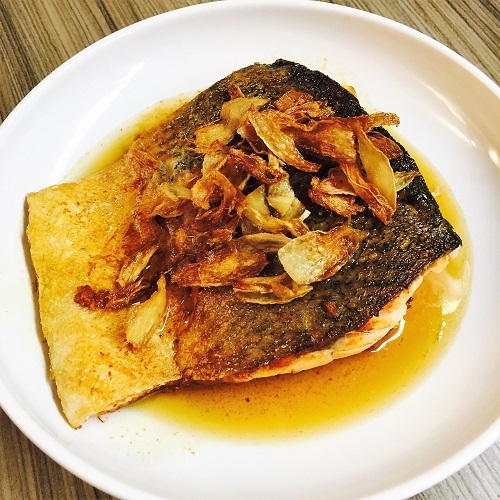 Place crispy ginger skins on salmon and serve.